Throughout her rich and rewarding life, Elizabeth “Bette” Bomhof was a blessing to everyone she met. She was a people person with a welcoming personality that drew others near with ease. 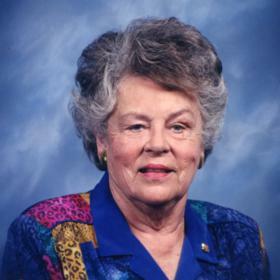 Betty was deeply devoted to her family, and there was nothing she treasured more than being surrounded by her children, grandchildren, and great-grandchildren. A woman of faith, she volunteered within her community for much of her life, making a significant difference in the lives of countless others. Deeply loved, Betty will be forever missed. It was great to be an American during the decade that we recall as the Roaring Twenties. Jazz music, ballroom dancing, and motion pictures in both color and sound were all signs of the time. Innovation was leading the way to technology that was transforming the daily life of the average American. 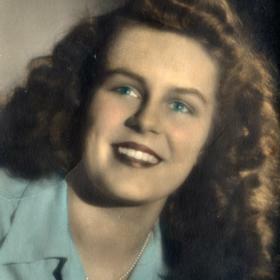 Amidst this eventful time was a time of great joy in the lives of William and Frances (VanHarn) Nouse as they announced the birth of the baby girl they named Elizabeth Jane on January 29, 1927. Born at Blodgett Hospital in Grand Rapids, Michigan, she was the only child in her family. Her parents divorced when she was a baby, and then she lived with her mother, her aunt, and her grandparents in a home on Diamond just North of Fulton Street. Their family attended First Protestant Christian Reformed Church where the roots of Bette’s faith were established. Bette attended Baxter Elementary and then Grand Rapids Christian where she was a social and outgoing girl. Her family primarily got around using public transportation or walking. As a young girl Bette worked at Baxter Laundry and then Baker Book House. New and exciting changes were in store for Bette when she met the young man of her dreams. His name was Louis Bomhof. and they met when he was on leave from the Army Air Corps. They kept in touch while he was serving, and their love continued to deepen. When he returned, Bette and Louis were married on November 7, 1947, in the chapel at Calvin College. After a honeymoon in Mammoth Cave National Park in Kentucky, the newlyweds settled into a home on Michigan for a while. They then moved a couple of times, eventually settling at their longtime home on Westend. Together they welcomed two sons, James and David, into their hearts and home. As a family they attended Highland Hills Christian Reformed Church for many years. Both Bette and Louis were very involved in church as they did plenty of volunteering, and they took part in several activities. Their church was a large part of their social life as well. In everything she did, Bette always made her family a priority. She was a loving and nurturing mother who was there for her children. Bette could also be a bit strict when needed as she was the primary disciplinarian. As a family they enjoyed traveling in their trailer during the summer, exploring much of the United States together. Bette kept an immaculate home, and she loved displaying her knick knacks and all the various mementoes that were collected on their many travels. She was also a great cook who made her "Bette's soon to be famous goulash” on a regular basis. On one occasion she was severely burned while making candles, but Bette was able to recover. As the boys got older, Bette had a bit more time. 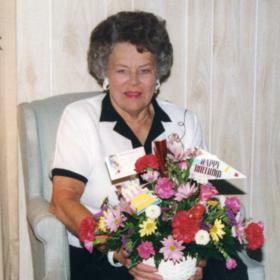 She worked in the office at Grand Rapids Christian for a while, and then she volunteered at Butterworth Hospital, delivering flowers to the patients. Bette truly loved that job. In 1969 they bought a cottage on Lake Macatawa, and for many years they also had a boat that she and Louis took out for rides. Betty and Louis eventually remodeled the cottage, making it their full time home. Although they lived in Holland, they remained members and faithful attenders of Highland Hills, which became Westend Christian Reformed Church. Once there, Bette volunteered at Holland Hospital. During their retirement years, she and Louis traveled more, and they became part of a traveling group from church called the Highland Globe Trotters. Together this group saw the world, and many of the trips were to Europe. She also accompanied Louis on some of his bicycling trips. Bette and her husband were also part of several dinner groups, enjoyed entertaining, and having people over after church. Bette also participated in a garden club while on Westend Street. 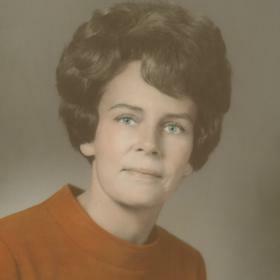 As a grandmother, Bette was second to none, and she was always looking for neat places to take her grandchildren and neat things to do with them. 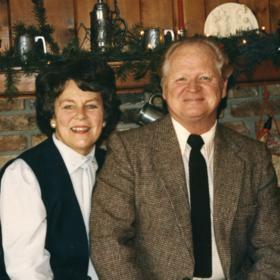 Bette took care of her husband while he was in poor health until his death in 2010. It was around that time that her own health began to decline, and she soon moved the American Home For Assistance. All who knew Elizabeth “Bette” Bomhof would agree that she was one of the sweetest people around. She treasured relationships with others, and was deeply devoted to her family and friends. Bette liked looking her best and always looked well put together, and together with her husband she experienced so many of the best things that life has to offer. Although she will be missed, Bette leaves behind a priceless collection of memories that her loved ones will forever hold near and dear to their hearts.